This is Not a Pasta Blog. So let’s just get this out of the way. Hi! I’m Rachel. I can’t think of a non-cheesy (pun intended), original way to introduce myself so I’ll just allow you to get to know me as I write in this blog. This will be less of a “let me teach you how to cook” situation, and more of a “watch me cook and make either really good things or possibly really bad things” because I’m not even close to a professional. I just enjoy food and creating and learning. For my first post, I made cacio e pepe. Not al dente. I’m not about that life, and that’s the last time I’m going to reference my blog title in a sentence. 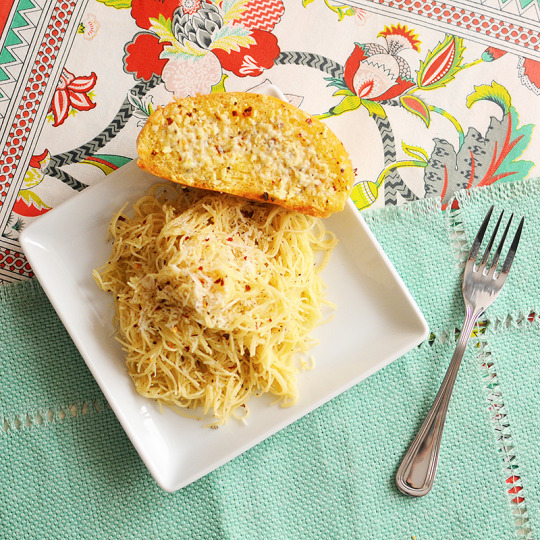 Cacio e pepe is a super traditional Roman way of cooking pasta and it’s probably one of the easiest I’ve ever made. 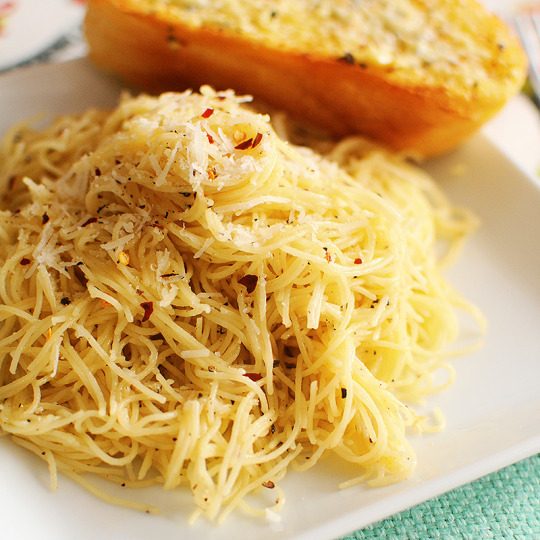 Cacio e pepe literally translates to cheese and pepper. There’s also some butter and oil. And pasta. So, we’re off to a super healthy start. When I was at the grocery store looking for pecorino romano cheese, I was faced with a serious decision. 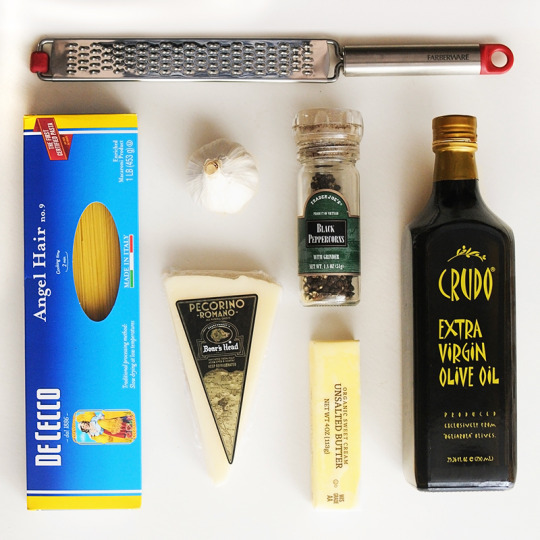 Do I buy the grated cheese or the block of cheese and grate it myself? Then I thought, “what would Ina Garten do?” (WWIGD). Ina would for sure grate that cheese herself so I was like “Ugh, fine” and got the block of cheese. I regretted that decision 3 minutes into grating, but I like to think Ina would have been proud. PS: That olive oil above? THE JAAAAAMMMM. Google it. It wins awards and is expensive. Clearly it was a gift. I’m not going to pretend I came up with this recipe myself, so please head over to Serious Eats to read it so I don’t have to plagiarize and act like the chef that I’m not. I will tell you my garlic bread recipe though! That one I figured out on my own. It goes like this (disclaimer, also not healthy). Let’s say this is for 6 slices of garlic bread. – Fresh Italian bread, sliced. Obviously. Mix the butter and spices until they’re well blended. Spread on bread. Sprinkle on cheese. Place in the oven or toaster oven on the broil setting and watch it carefully so you don’t burn it like I do anytime I try to use the broiler. If you have a toaster oven and want both sides of the bread to be toasty, just use the toast setting. I like it crunchy on top and softer on the bottom myself, but do you. As you can see, my ratio of bread to tablespoons of butter is 1:1 which is probably absurd and I don’t even want to think about the consequences – so feel free to use less if you care about that kind of thing. Which you should. 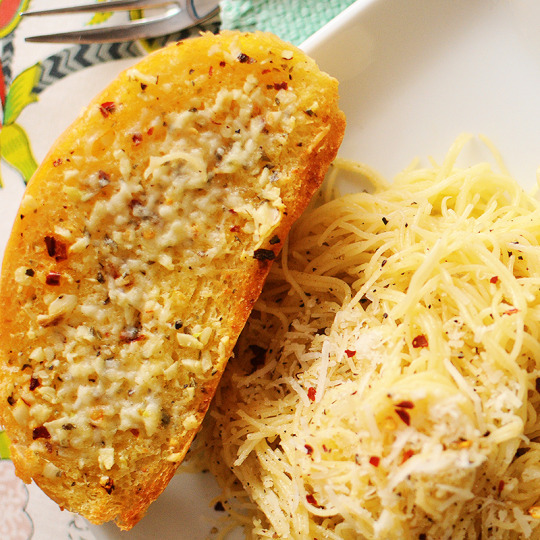 But like, it’s garlic bread and pasta so it’s safe to say we’re having a cheat day. Welcome to my blog, and thanks for reading! Let’s see where this goes.